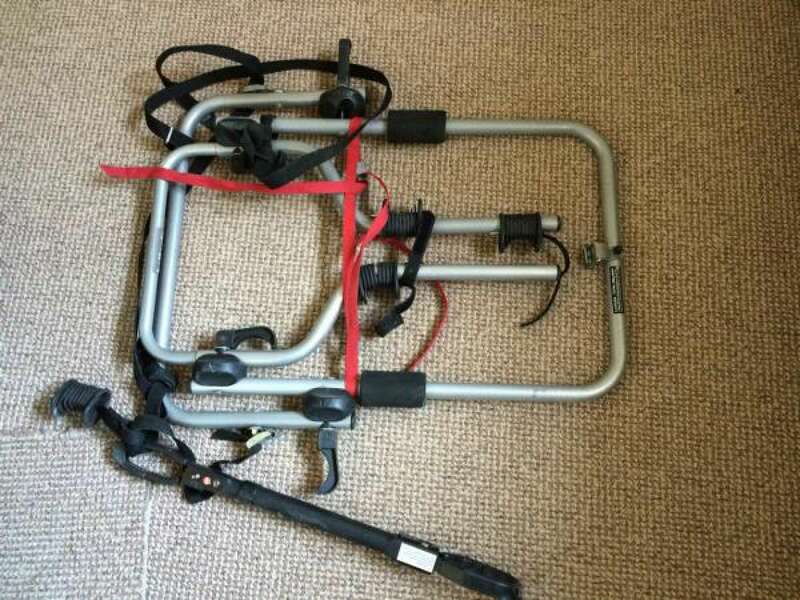 2 bike carrier including bar for ladies bike. Adjustable for left or right spare wheels. 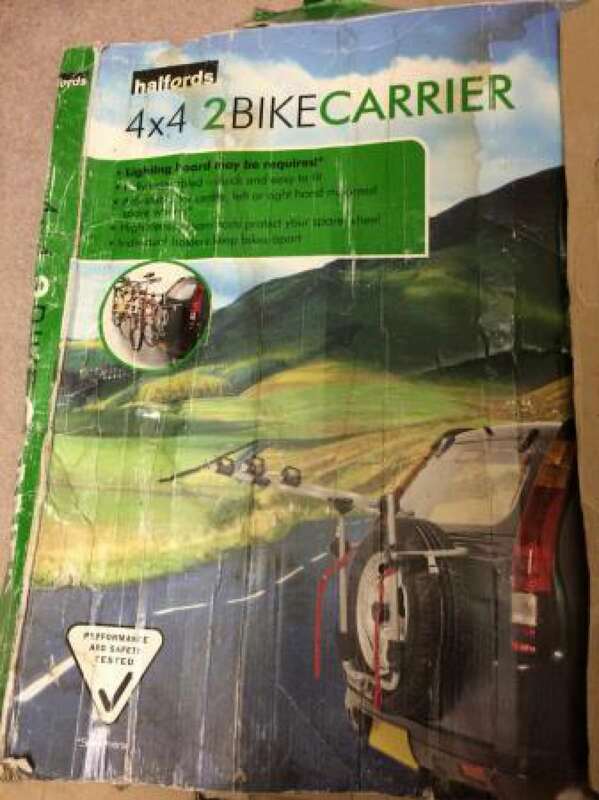 Totally unused. 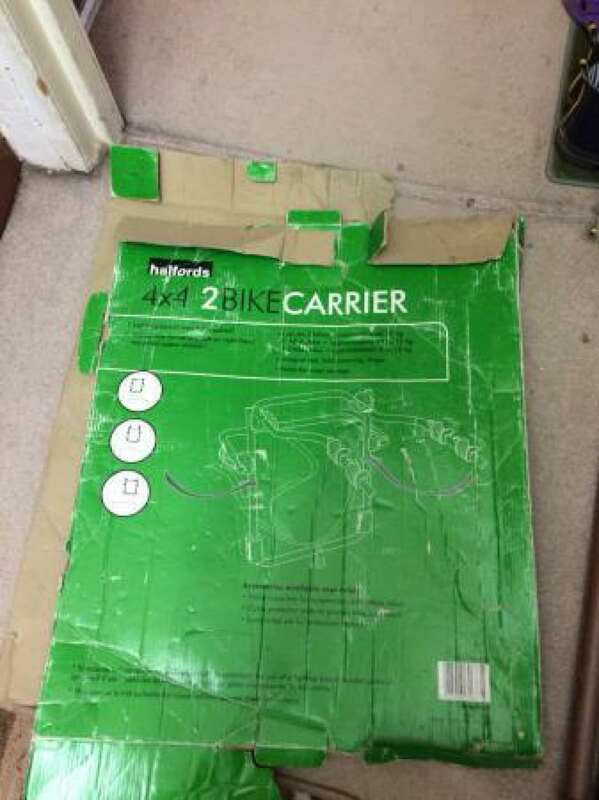 Box battered but carrier as new.